We have one rules, the blog that we want point to subdomain is managed by same account as our main blog. Because a CNAME unique code with gv- prefix is different to other account and it used to verify our blog owned by us. In the post How To Setup Custom Domain for Blogger we learn about setup custom domain to work with blogger, thats mean all is ready. 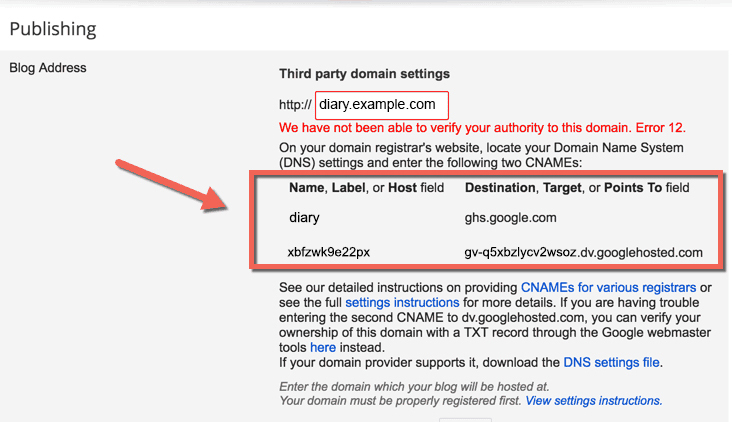 To setup custom subdomain on our domain to other blog we just need CNAME as an alias with given value and we dont need to add 4 I.P anymore because its already there in our custom domain. In above screenshoot we have two CNAME to add inside our domain DNS Zone Editor panel. If you look at CNAME unique code its same as the first code we registered before inside DNS Zone editor. So, we only need the first one. 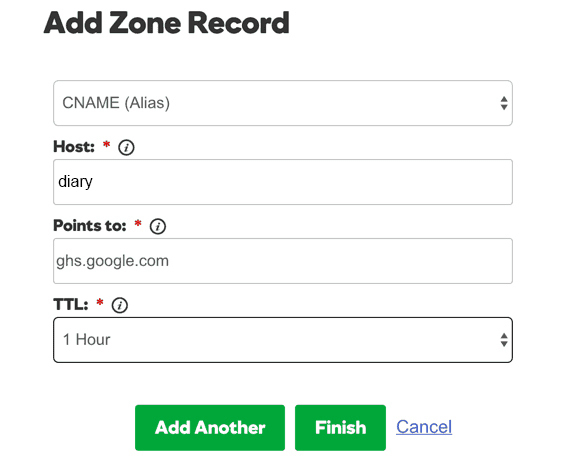 Inside DNS Zone editor, add first CNAME and save. With that, we finished making our other blog being part our main domain. Really very happy to say that your post is very interesting. I never stop myself to say something about it. You did a great job. Keep it up. We have an excellent IT courses training institute in Hyderabad. We are offering a number of courses that are very trendy in the IT industry. For further information, please once go through our site. This blog is very creativity and the admin providing the best content was many knowledgeable posts. I appreciate your great work and keep blogging!! !